The 2017 Clarke Award has been announced at the beginning of May and, like I did last year, I want to read the entire shortlist which shouldn’t be too hard since I already read some of the shortlisted books! My goal is to read the shortlist before July 27th when the winner will be announced. I read Central Station and Ninefox Gambit last year and I would like to re-read them for this project though I don’t know if I’ll have the time to re-read Ninefox Gambit (since I already read it twice before I even knew it was going to be shortlisted!). 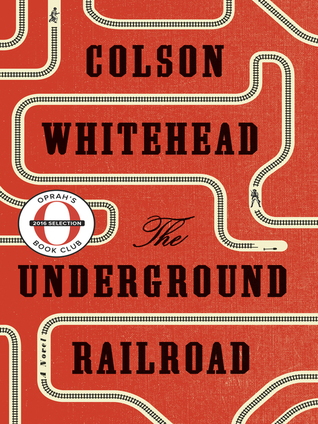 Anyway, enough rambles, let’s review The Underground Railroad by Colson Whitehead! When I first saw the 2017 Clarke Shortlist, I was very suprised to see The Underground Raiload on it. This historical-fiction book just won the 2017 Pulitzer Prize for Fiction and since its popular release, it only heard great things about it. I have been meaning to pick up this book for a while now, expecting to read it as as historical fiction book and here I am, reviewing it as a speculative fiction work. It’s true that if you read the synopsis, you might be surprised that this book is shortlisted for a SF prize; it features no aliens, spaceships or AIs. It’s sole “speculative traits” are that in this book the Underground Railroad is a litteral railroad that can safely transport slaves from States to States and that Whitehead plays a bit with time. Is it enough to be nominated for a SF award ? I’d say it’s just depend on your definition of speculative fiction. Is it reading about aliens, space battles and cyborgs or is to see how humans confronted to new, original situations or concerns can actually deal with them? For some people, Star Trek is a geeky, cheesy and way to old TV shows about pointed-earred people with odd eyebrows dealing with aliens, but, for me, it’s about people coming together trying to solve problems and discover new things. It’s about humans and how society could be. That’s SF for me. So, with this definition in mind, why not consider The Underground Railroad SF ? The Underground Railroad opens on the Randall plantations in Georgia where being a slave means being constantely aggressed, beaten, raped for no reasons other than the color of your skin. The first part might be the most shocking part for some, Colson Whitehead write torture, agression and castration scenes in a detached, almost causal way, showing us that, at the time, those weren’t shocking for people: it was just part of their reality. For some people, it might be too much to handle, I have seen reviews were people said the writing didn’t work for them because they couldn’t relate to the characters because of the very detached tone and attitude of the characters. How can they just stand there doing nothing? I read this kind of statement in many reviews, for a lot of people , Cora, the main character is “hard to like”, “keeping them at bay” etc… In a way, I can see that but for me, it’s done on purpose, it’s not that she doesn’t care, it’s just that she can’t. Else how could you live in a world like that? The Underground is brutal, messy and doesn’t hold back, even when you wished it did. It’s hard but you can’t stop reading, it shows you humanity as its worst, and, more, it shows us people trying to survive, as bystanders, slavers or slaves. 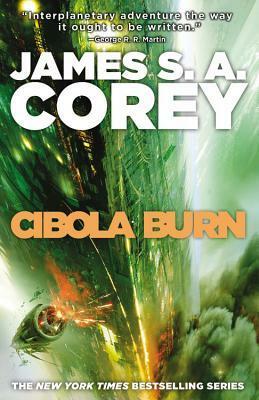 The majority of the book is focused on Cora as she flees with Caesar, another slave, from States to States, trading a kind of slavery against another, as she experiences the horror of being black in a country that’s scared of you and that is trying to make you as quiet as possible while slowly pushing you over the edge. However, we also get chapters from other perspectives like the perspective of the slaver who pursues Cora, a medicine student, a woman who helps Cora and her reasoning behind it. We follow Cora as she perpetualy escape through the USA but also through time. Indeed, if I understood the book correctly, it doesn’t exactly follows the course of history and attempts to show the different ways in which black people were discriminated throughout history. For example, when Cora reaches South Carolina she realizes that, if “on paper” she is not a slave anymore, she is still treated like one by white people that want to use her. Indeed, doctors try to sterilize her against her consent because it is the only way they find to control the growth of the black population in their State. The Underground Railroad is not a pleasant book but it is an important one because it is very relevant to our own society . I have seen a few people comparing this book to Arcadia by Iain Pears, a book that was shortlisted last year. I think their only shared trait is that Iain Pears is also a literary fiction writer but except that, don’t expect both books to be similar, they are extremely different in what they are trying to achieve. Anyway, have you read The Underground Railroad? Do you think it’s a SF book and that it “deserves” to be shortlisted for one of the biggest award of the genre? 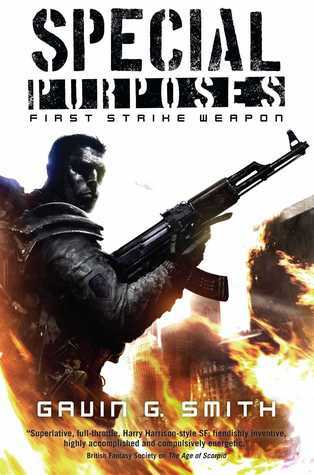 At the height of the Cold War, a Russian special forces team target New York with a horrifying new virus. …and awaken to a scene of turmoil. New York City has been overwhelmed by a horde of the walking dead, a plague that even now is spreading across the globe. Somehow holding onto their identities where all others have become mindless monsters, Scorlenski and his squad set out to return to Russia, to take revenge for what has been done to them. Since I visibly can’t read blurbs correctly (I really hate spoilers), I didn’t really expect this book to be a zombie book. Let’s just say that I was a bit suprised when, as the first chapter open, Vadim, the quiet yet very bloody Russian Force squad’s leader, wakes up, with blood all over him and meat in his mouth and, it might be worth mentionning, feeling quite dead. This book was an unexpected surprise, the kind you don’t know you need until you have it on your hands and the only thing you are thinking is “where has this been all my life?”. Reading this after mid-term exams was the perfect time, it was an engrossing read, I read this book in about two sittings and it never felt boring or repetitive. Special Purposes is bloody, gory and fun. However, I wouldn’t recommend Special Purposes just for the blood, I mean, it is entertaining but what really made this book works for me was the characters, the writing and the setting. It wasn’t just action scenes after action scenes, the characters and their internal struggles were my favorite aspect of the book. Smith makes his characters humans in small things. Vadim is a perfect example of that, his constant struggle to remain as human as he can, his regrets for the things he had to for his country, his feelings for his squad reallymanaged to fully flesh him out. For me this book was more than “just another zombie book” because it did have some interesting discussions about things humans could do at their best, or at their worst. The book has some incoherences that prevented me from rating it more highly but still, I would really recommend this, it’s fun yes, but you are not going to lose brain cells reading it. 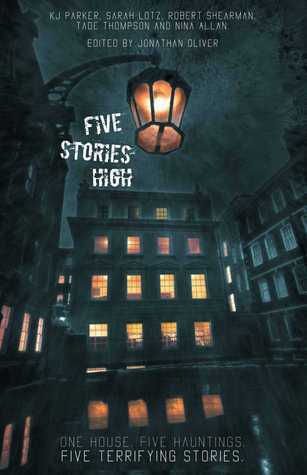 Five Stories High is an anthology edited by Jonathan Oliver that features five horror novellas written by five different authors all set in the same house, a huge mansion called Irongrove Lodge. The stories are loosely linked together by interludes written by Jonathan Oliver. However, since it took me several weeks to read this, I didn’t really pay attention to the interludes and I read the stories as standalones. I am not a huge horror fan, I don’t especially like horror movies but oddly, I like horror short stories quite a bit and I would like to read more of them so when I saw that Solaris was coming out with this anthology, I was very intrigued. I was especially looking forward reading Tade Thompson and Nina Allan’s stories. As usual with anthologies, not every single story is going to work for you but, as anthologies go, this one was very strong. Two of the stories were outstanding, one was really good and the other two were interesting enough to be worth a read. My two favorite were Gnaw by Tade Thompson and Skin Deep by Sarah Lotz and I would highly recommend this anthology for those two alone. Willy Randle is a happy young man raised by a loving family, he has a wonderful and caring girlfriend, he is studying at university. He’s promised to a great future.. until the day his aunt, Claire, vanishes for a few instants. When she comes back, Willy is persuaded that something is wrong with her somehow, but he’s the only one who seems to see it. He then starts a quest to find who or what his aunt really is. It was fascinating little story, extremely well paced and hard to put down. It felt very different from The Harlequin, another novella written by Nina Allan that I read and reviewed last year, the writing was as good but the tone was completely different. It was slow paced but it never was boring, on the contrary. Subtle and eerie, it is definitely one of the best novella I read this year. Following a character who can shapeshift and whose work is to pretend to be other people providing them with alibi when they need them, this story was my least favorite of the collection. Mind you, I wasn’t expecting much from it after reading two other novellas by Parker and I think that I enjoyed this novella the most out of his other works. Parker is just “not my style”, I find that all his main characters tend to look the same and I am not necesseraly a fan of his writing style. I find it a bit all over the place and his pacing is definitely odd to say the least. Also I think the plot of this story was reminisent of The Last Witness in the sense that both main characters seems to loose their own identity toward the end. If you enjoyed The Last Witness, Priest’s Hole is going to a good read, if you didn’t well, don’t go into this story expecting a lot from it. Tara and Larry decide to buy and move in the house of their dream, Irongrove Lodge, with their two children. However, they soon realize that something really weird is happening in their house and that they might not be the only ones living here. Sounds like déjà-vu ? However, what could have been a “I read that a hundred times before” story was so very well done that it really managed to grab my attention. Tade Thompson is a terrific writer, the writing, the pacing and the characters were on point. The relationships between all the family members felt real and I could identify with all the characters, including the “bad guys” which is pretty rare for me with this genre. This story is definitely one of the highlights of this collection. I don’t even know how to explain this one actually because it is pretty messed up. I will just say that it begins with a woman giving birth to a head. Do I really need to say more? This story is insane, maybe a bit too much for me but at least, I can’t say that I ever read a similar story before. However, it didn’t grab me as much as the other stories and it is probably because it is a bit all over the place pacing-wise. 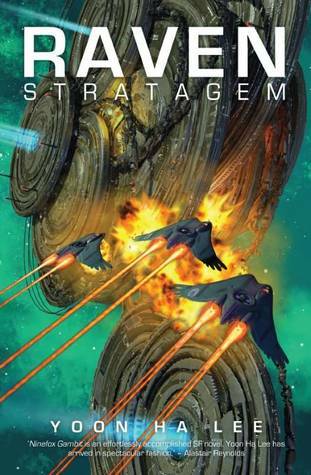 I would still recommend it because as I said, it surprised me quite a bit, it’s the first time I read a Shearman story, but I definitely want to read other things by him now. This story has a very interesting structure because it is told from the perspective of many side characters and it is mainly following the aftermath of a crime committed in Irongrove Lodge. Malika and Robin just moved there when Robin started to get a bit too obsessed with it, so much so in fact, that it just got under his skin. Literally. Another great story, I read this one very quickly because I really wanted to know what was going to happen next and, even if, in a way it was very predictable, the execution was so good that I didn’t mind at all! This is going to be quick since I only read three books.. Yes three! It was the least productive reading month I had in years so that’s why I have been a bit absent from the Internet for the last couple of weeks. The good thing is, even if I wasn’t very productive the three things that I read I enjoyed A LOT so there is that! As you can see, two five stars rating and a four, April was good month for me! In Order to Live by Yeonmi Park is a nonfiction book, more precisely, it is a memoir of Yeonmi’s escape from North Korea and it was mindblowing. I almost never read nonfiction but I’m so glad I picked this up, it’s a hard read but it is fascinating and it made realize a lot of things about my own life. 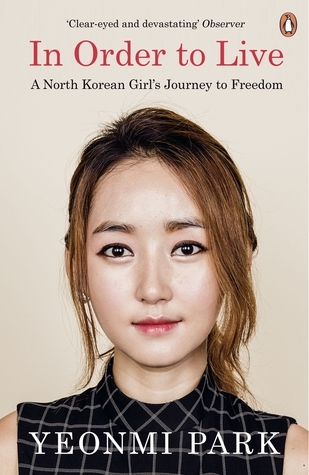 I know I sound extremely cheesy saying that but I mean it, I have always been fascinated by North Korea and how people lived there and reading Yeonmi’s story was hard but eye-opening and I would absolutely recommend this book to anyone! 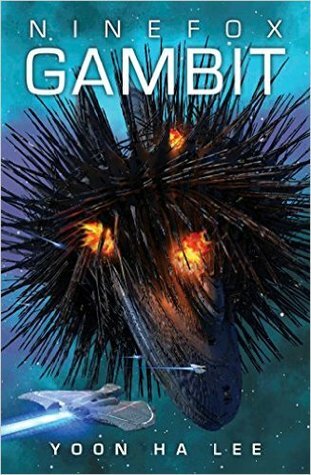 Speaking of my favorite SF series, I decided to re-read Ninefox Gambit because I just received an ARC of its sequel, Raven Stratagen (my thanks to Solaris I am sooo excited! ), and I really wanted to experience the first book again. I am so glad I did because even though I found Ninefox Gambit amazing the first time around it was even better the second time. Indeed, this time I wasn’t confused during the first part of the book because I already knew how Yoon Ha Lee’s world worked. Yes this is not a book for everyone, I saw a bunch of mixed reviews lately saying that this was too complicated and the world made no sense. It is complex, true, but it is damn clever and I personally think that the world make sense as long as you don’t try to assimilate it to our own. Anyway, enough fangirling, as you can obviously see, I love this and it is a book that I will revisit many times in the future! I am basically currently reading the same things I was currently reading at the same time last month: The Wall of Storms by Ken Liu, Five Stories High edited by Jonathan Oliver and Empire’s End by Chuck Wending. Since my reading schedule is all over the place, I don’t have a TBR but I would very much like to read Raven Stratagem by Yoon Ha Lee but we shall see if that’s actually going to happen! Hope you had a good reading months! What were your favorite reads this April ?